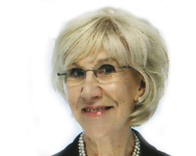 Sue Hanson is a HR Professional with broad experience across different industry sectors. She has 16 years of experience leading HR teams in three major blue-chip companies. She specialises in global recruitment, Organisational Development, company restructures and the talent management of leaders, creating Assessment processes and programmes to meet the particular needs of different organisations. Sue has worked with senior teams on volume recruitments including the Eurotunnel start-up and British Telecom. She has worked with national and multi-national companies in the UK, Europe and UAE. She is a member of the Viva Panel for the NHS Leadership Academy in the UK. She brings long-term HR expertise, common sense, a strategic approach to business issues and a positive view about people and their potential for success. Sue has experience in using a variety of techniques in coaching programmes, including Hogan Personality profiling and NLP to help speed and consolidate the process of change to meet clients’ desired outcomes. Sue is a Fellow of the CIPD, a qualified Coach, an NLP Master Practitioner and a Member of the UK Institute of Directors.